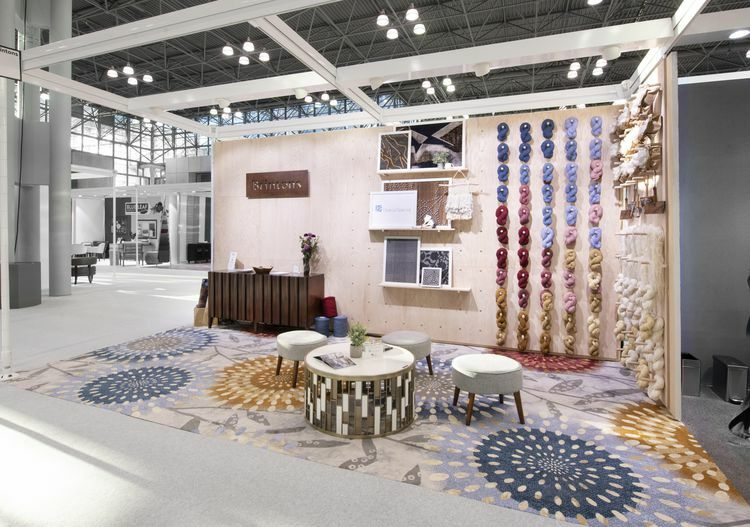 On November 11th and 12th, hospitality design professionals gathered at New York City's Javits Center for Boutique Design's annual trade fair. 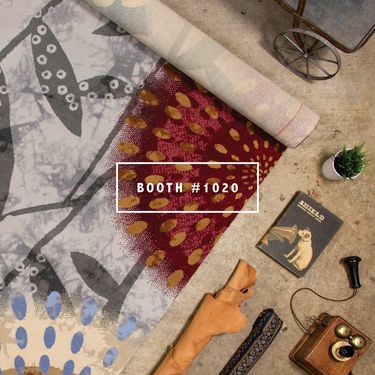 Located in a corner lot at the front of the trade show, the Brintons booth (#1020) was an experience that highlighted our unique manufacturing process and celebrated the creative basis of Brintons designs. 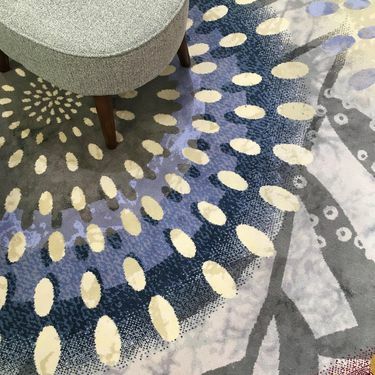 Brintons latest collection, Materialize by Stacy Garcia, was launched at the fair and served as the perfect inspiration for the design of booth #1020. Featuring natural wood grain textures, subtle metallic finishes, and bold bursts of primary color, the Brintons booth earned the honor of being a finalist for best exhibit out of 114 other flooring and carpet vendors. 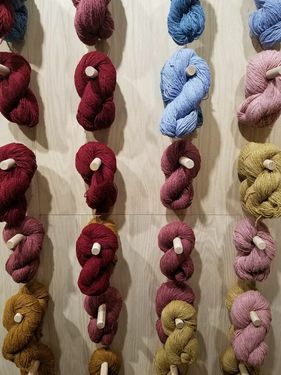 To visually demonstrate Brintons' place as a manufacturing and design pioneer within the industry, Brintons wool and other products were also showcased in the booth. 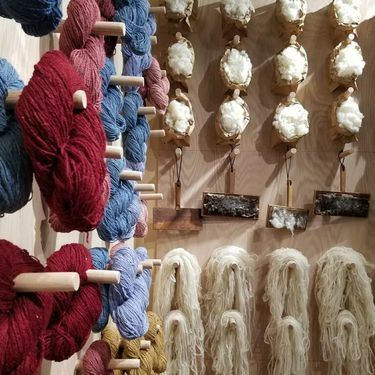 Brintons blended, spun, and dyed yarn created the wall covering in half the booth, and accompanied designs from the Brintons Self-Expression Project and the 100% wool cut and loop Wilton collection. 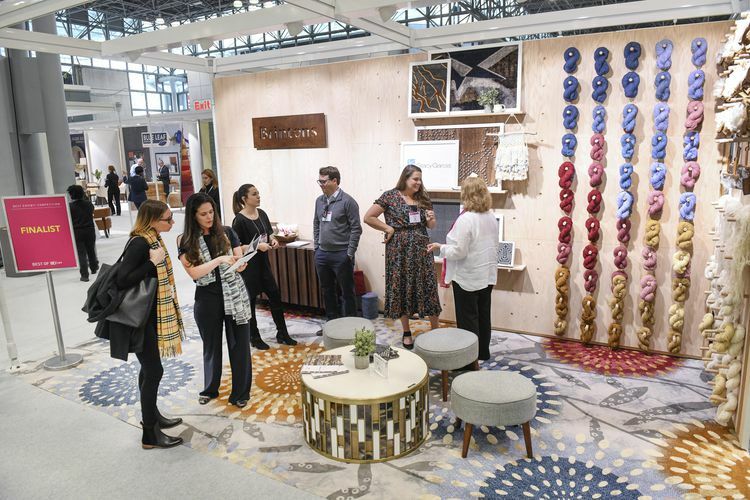 Saturated color, natural surfaces, and the contrast of geometric and organic elements were the common thread among exhibitors at BDNY this year. We expect that these features will continue to inform the industry. Has the Brintons booth captured you attention? Contact your local sales rep here, we'd love to discuss design trends and learn about your upcoming projects!